During the Republican period (1912 to 1949) the proponents of the National Essence Movement sought not only to promote native martial practices but also its technical and theoretical study by applying modern western methodologies. Chinese martial arts have been described in different ways over the centuries, however it would not be until the beginning of the XXth century when there was a movement to unify them through a single term, in this case Guoshu (National Arts). Prior to the creation of the Central National Arts Academy (Zhongyang Guoshu Guan), different denominations were used as described below. A discussion of our original article was done a while back in the always excellent Kung Fu Tea blog. One of the first training programs for use at national level was published in 1911 by Ma Liang (1878-1947) also known as Ma Zizhen, a commander/warlord (military leaders who fought for control of the nation in the period 1916-1928). Ma organized a curriculum consisting of four volumes, namely: Chinese Boxing Studies (Quan Jiao Ke, 拳腳科), Chinese Wrestling Studies (Shuai Jiao Ke, 率角科), Double Edge Sword Studies (Jian Shu Ke, 劍术科) and Long Staff Studies (Gun Shu Ke, 棍术科). This training program was call New Martial Arts of China (Zhong hua xin wu shu, 中華新武術) an all encompassing term to identify these skills preceding later efforts. This program would disappear from national view in a very short time. In 1919 and to commemorate the anniversary of the Martial Essence (Jing Wu), a special edition of its activities, was published including an article in English entitled “History of Chinese Kung Fu “, using a nomenclature that still today popularly describes Chinese martial arts. In 1921 the periodical Martial Arts (Wu Shu) was published by the Martial Knights Organization (Zhonghua Wuxia Hui), using the same term as Ma’s training curriculum. As seen in the above examples, different terms were still in use to refer to Chinese martial arts despite the influence of the Central National Arts Academy; However, the Academy promoted the use of National Arts (guoshu) for very specific reasons which we will discuss in the next section. In the First National Examination Special Edition (Di Yi Ci Guo Kao Te Kan), published after the national examination that took place on October 15, 1928 by the Nanjing’s Central National Arts Academy, the events that were included in the examination were empty hand matches, Chinese wrestling, long and short weapons fighting. Candidates who participate in these tests went through a pre-selection process in which they had to demonstrate their skills in routines with and without weapons. In the national exam, empty hand and weapons routines were not considered as important and merely a requirement to demonstrate a level of skill. The events included in the National Examinations demonstrate the emphasis towards practical application and the modernization attempts by means of open competition in the hopes to popularize these practices. In the Second National Arts Examination Special Edition (Zhong Yang Di Er Jie Guo Shu Guo Kao Zhuan Kan) the preliminary tests of empty hand and weapons routines were eliminated. 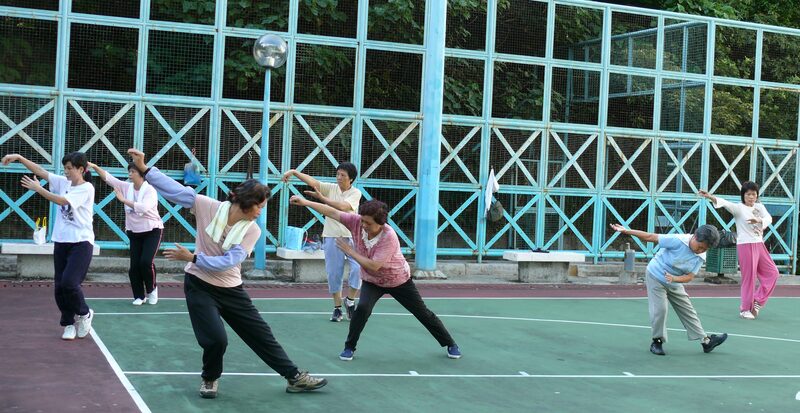 The “National Arts” also included other native physical activities such as archery (she jian), pellet shooting (dan gong), shuttlecock game (jian zi), flying fork (fei cha), dragon boat racing (long zhou) (Ma, 2009) etc; these practices were also included in the subsequent national games. Modern wushu and sport does not include all the elements that tried to embrace the guoshu concept. In addition, proponents of the National Arts sought the union of the different schools of martial arts in their original form, as evidenced by the introduction of National Arts: Zhejiang Province Monthly Magazine (Guoshu: Zhe Jiang Sheng Guoshu Guan Yue Kan), published in 1929, placing under the same flag all existing styles and where the only worthy membership was that of the nation and thus the nationalist party in a way to maintain control of those martial organizations. The guoshu concept was an all inclusive one, it tried to preserve the different physical activities that were unique to the Chinese nation while at the same time using modern western approaches to physical training. From skills taught to the military, native past times to the promotion of Chinese martial arts elements aimed to strengthen people’s bodies and minds. The elements extracted from the martial arts were promoted in different ways according to the target population e.g. techniques of rifle- bayonet and big knife fighting were taught to the army and militias, armed and unarmed routines were published in hundreds of training manuals for the civilian population as a way of native calisthenics (of the dozens of manuals we have examined less than a handful include any practical applications) to the development of free fighting events that were the predecessors of modern Sanda/Sanshou/Leitai competitions. Even though several native physical activities were covered under the guoshu umbrella, it was martial arts the one with the most emphasis and attention placed by the Chinese reformers with fighting ability at its core in the case of the military. The Chinese Republican period publications show the Nationalist fervor and desire to protect the nation through the martial practice and how broader the concept of guoshu was when compared with modern wushu and the western concept of sport. The practice of Chinese martial arts in the republican period was taught to serve in the strengthening of the civilian population and the military to defend the nation through initiatives such as the establishment of guoshu examinations, bayonet fighting demonstrations and the publication of hundreds of manuals and periodicals the latter as a native style of Chinese calisthenics in opposition to western models. The Guoshu experiment was a state sponsored project, a continuation to Ma Liang’s and the privately sponsored Jinwu Association’s attempts with many of the people involved in the Guoshu activities later becoming key figures in the development of the New China’s Wu Shu movement. An, T. (s.f.). Wushu Needs Name Rectification. Kung Fu Magazine.com. Available in http://ezine.kungfumagazine.com/ezine/article.php?article=581. [accesed 22/12/2010]. Chong, Y. (1996). Zhongyang Guoshu Guan. Hefei, Anhui: Huangshan Press. Hui, J. T. (1919, reed. 2008). Jingwu Benji. Taiwan: Lion Books. Kennedy, B., & Guo, E. (2010). Jingwu The School that Transformed Kung Fu. California: Blue Snake Books. Ma, M. (2009). Reconstructing China’s Indigenous Physical Culture. Journal of Chinese Martial Studies, 1, 8-31. Morris, A. D. (2004). Marrow of the Nation. California: University of California Press.